A Philadelphia Orchestra musician has gained a national audience for a hobby that’s not based on sound. WRTI’s Meridee Duddleston has more. Trumpeter Jeffrey Curnow has been thinking up and drawing cartoons since he was a kid. 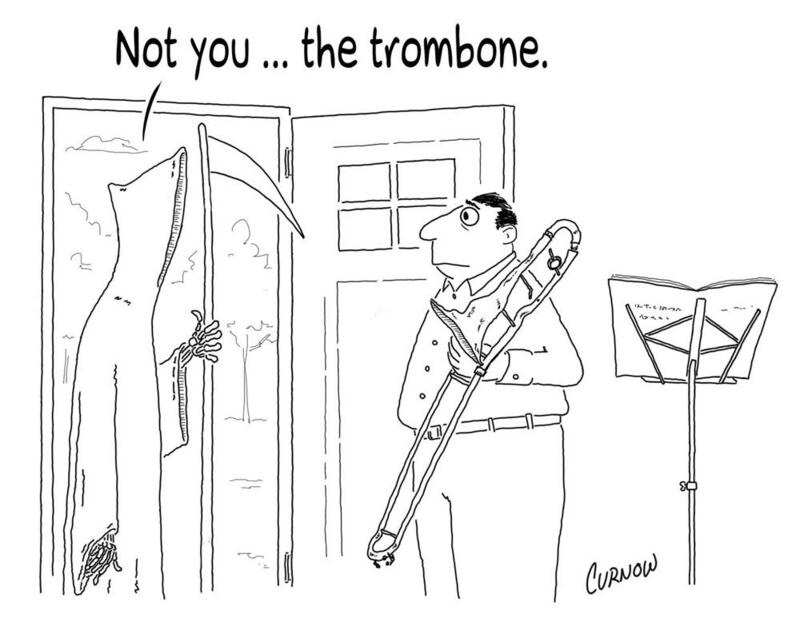 Humor, like music, runs in his family. His grandfather, father, and uncle played the trumpet. Drawing fascinated him early on and Curnow’s father always had a great joke, usually with a musical twist. Some of those jokes ended up as cartoons. 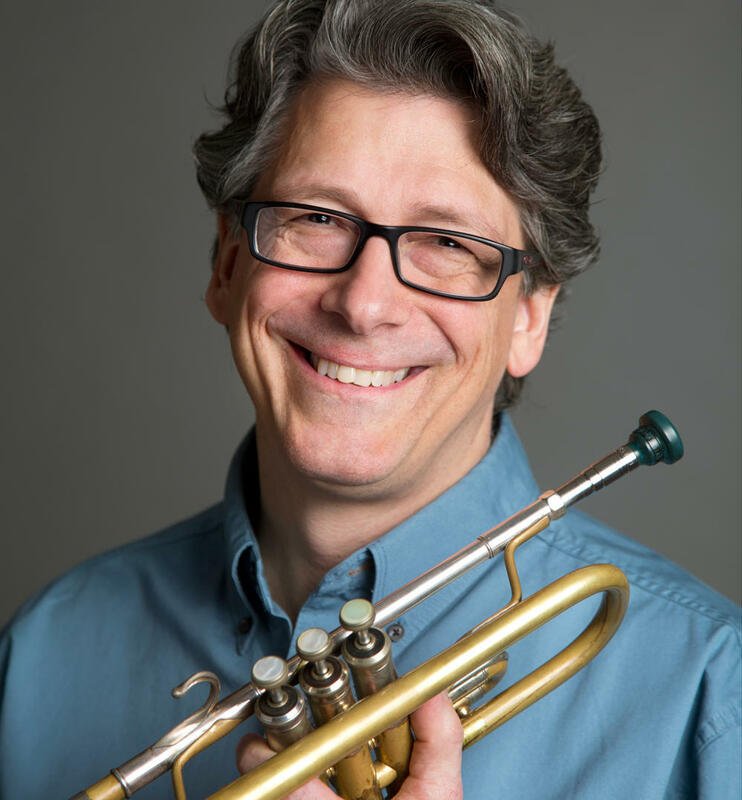 Associate Principal Trumpeter of The Philadelphia Orchestra since 2001, Curnow is honing his funny side as a regular contributor to NPR Classical. His musical conundrums, notes, and nuances are shared on NPR Classical's social media channels and on the WRTI Facebook page. Listen to more of Meridee Duddleston's conversation with Jeffrey Curnow in 2015, when his cartoons went national. Meridee Duddleston: Jazz and classical musicians move us with their ability, passion, their power. But the talents of The Philadelphia Orchestra’s associate principal trumpeter extend beyond virtuosity. He can make you laugh out loud. Jeffrey Curnow: My purpose isn’t to lighten up classical music. I just think these funny things and I draw them as a hobby. And it’s kind of taken off. 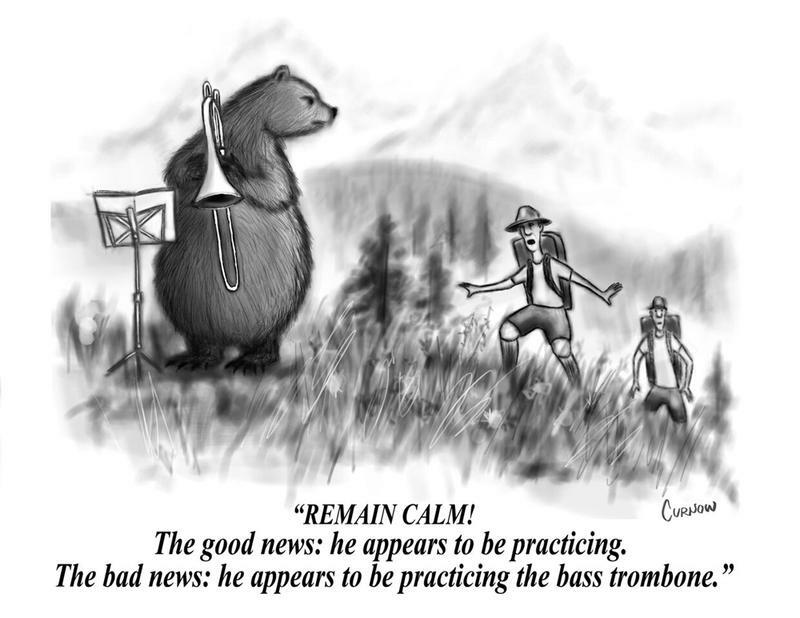 I have a lot of time on stage when I’m counting measures or rests –thinking about cartoons. 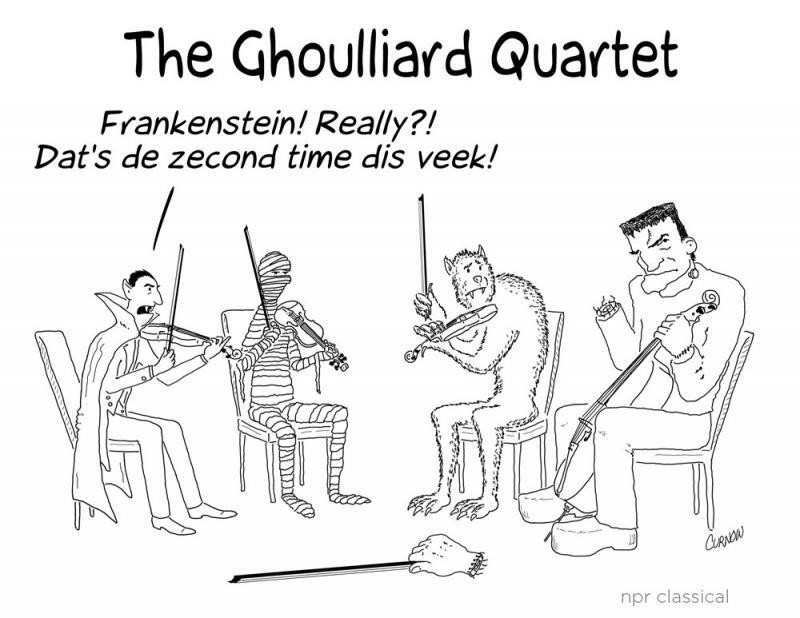 MD: NPR Classical recently turned to trumpeter Jeff Curnow to expand his knack for making people laugh by contributing regular cartoons to their Facebook page and Twitter. How does he come up with the concepts? JC: There’s really no science to it. Sometimes I’ll get a suggestion and then I’ll pace around the house for the day or a couple hours and just think: How can I make this funny? To me it’s a challenge. It’s kind of like solving a puzzle. MD: If the pieces come together and Curnow decides put it on paper, he says he might listen to jazz trumpeter Chet Baker– but first he waits a little. JC: It has to stick. If I still think it’s funny after a day or two then I’ll start drawing it. But then you have to see the drawing in your head. It’s really tricky. It’s kind of like shooting a movie. 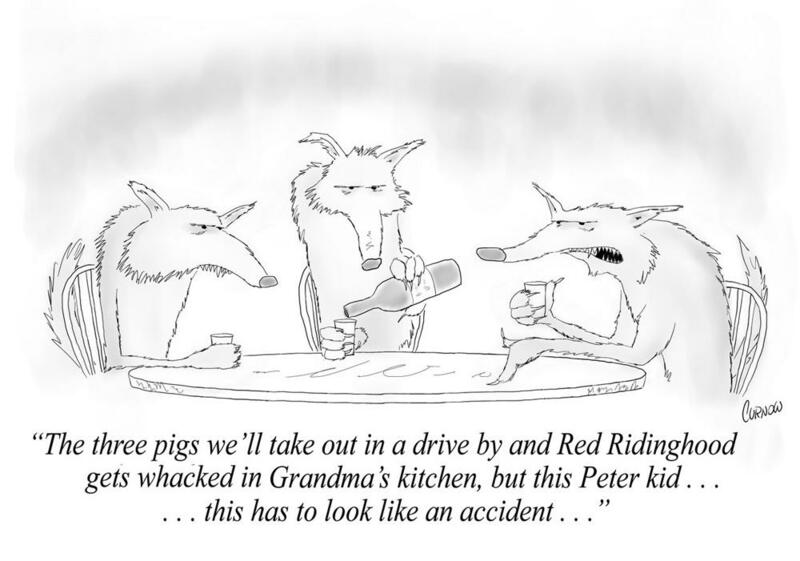 MD: Does a cartoon of three beer-drinking wolves discussing how to knock off a kid named Peter make you smile? More of these delightful moments coming up, courtesy of Jeffrey Curnow.